Olympic Tribute Music to Sochi Winter Games performed by Karl Jenkins and his new age music group Adiemus. 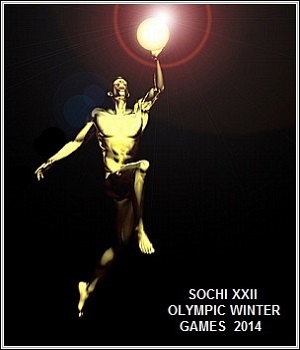 In light of the dramatic news coming out of Russia lately, anticipation for the Winter Olympic Games in Sochi, Russia outshines the dark news of late. For the athletes that will be performing during this historic event their opportunity to achieve excellence and rise above will be a bright visible test of the human spirit. The official music to be performed during the Opening, Closing and Medal Ceremonies has not been announced by the International Olympic Committee yet but more news about the artists and their songs to be played during the ceremonies will be coming soon. New age artist Vangelis and his inspiring Chariots of Fire song was a key song played during the London Olympic Games in 2012, so given the inspirational fortitude of the genre, new age music compositions may again be selected for this year’s ceremonies. Interest in the Olympic Games has never been greater, and for many people the official music is likewise a point of interest. There are tribute songs available you can listen to right now. One tribute song is by Karl Jenkins and his new age group Adiemus. Composed and conducted by Karl Jenkins, Adiemus is a fusion of new age and world music, with choir vocals in many songs. Adiemus is often compared to Enigma and Deep Forest, and I always felt the young boys choir Libera, directed by Robert Prizeman, should be included too. Regardless of the comparison, Karl Jenkins and the group Adiemus perform uplifting songs designed to rekindle the human spirit, fitting of the athletes goal and their upcoming challenge to light up the world. The self-titled song video by Karl Jenkin’s group Adiemus is one of nine from the Songs Of Sanctuary album. For more information about the inspiring music of Adiemus visit KarlJenkins.com. YouTube song video produced by MrFryDeep. Big Stock Photo photo credit – HelleM.